March | 2015 | That Mall is sick and that Store is dead! 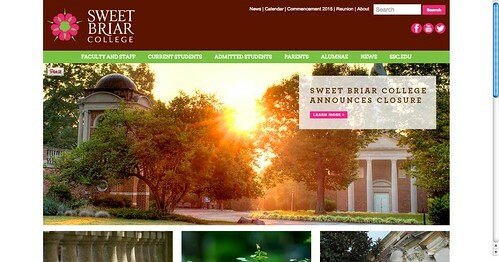 Sweet Briar, a womens college is shutting down in August. 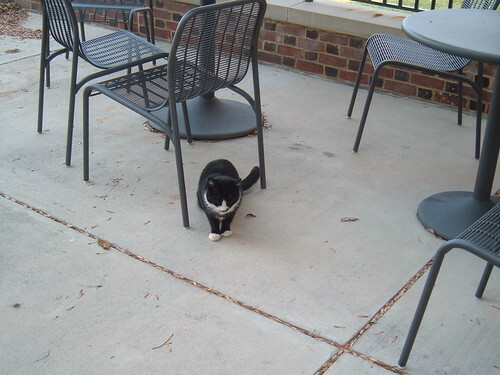 Us alumni of womens colleges (including myself: Mary Baldwin, 2010) are absolutely devastated. Suffice to say, SBC never contacted me back after I filled out my application. That’s all in the past now though. I graduated from Mary Baldwin. 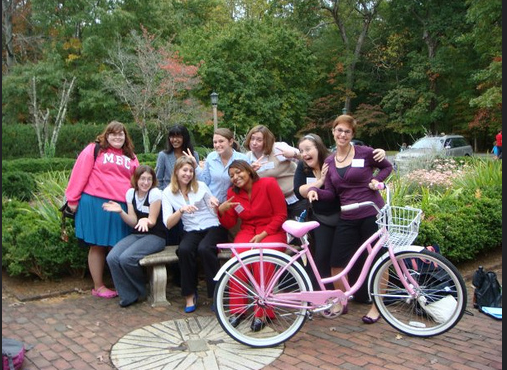 We took a pic with their pink bikes that are available to rent on campus. 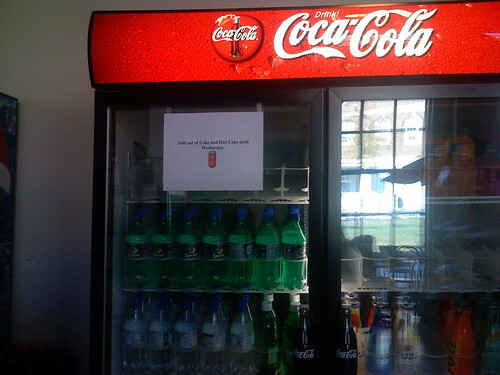 You can’t ride a bike around MBC, you would die. I remember sitting on this couch at the prospective student orientation when I panicked and told dad I didn’t want to stay there overnight back in 2007. 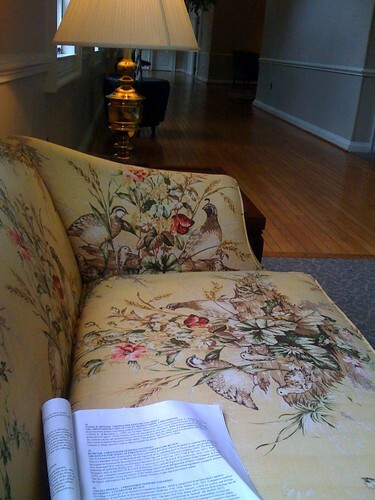 I sat on this couch in 2009 when I was sick at the MARCUS conference.